To be completely honest, I was expecting something big for October, but I dont think I expected Bunt to release new types of cards. Im not talking about a new insert set or a new boost, but actually a new TYPE of card. We saw the first horizontal cards released earlier this year, but this is a completely different situation. As of yesterday, the first two Parallax Effect based inserts were released, which when the feature is turned on for iOS, makes the image partially 3D. If you have an Apple device at home, go check these cards out, because these might be the future of the game, and they might not be done yet. 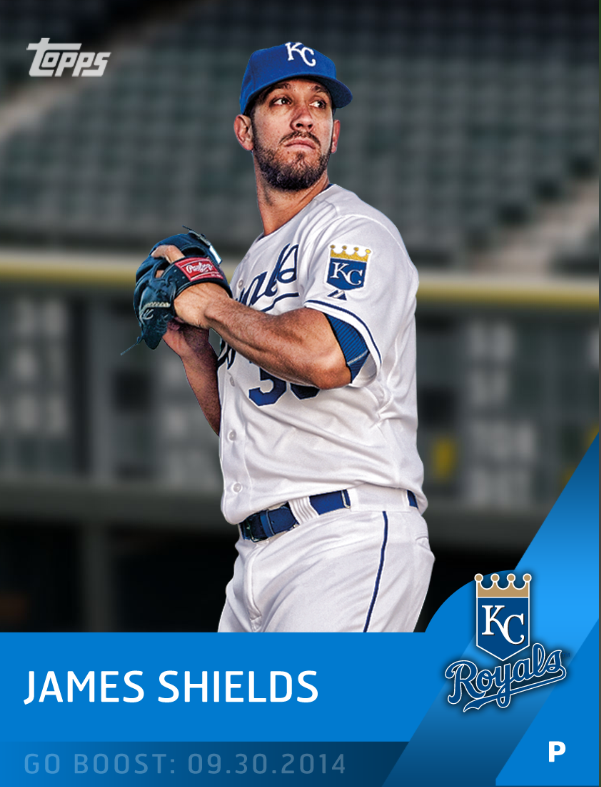 The two releases were James Shields for the Royals and Jon Lester for the As. I expect two more to be released today, but you never know. Each of the cards carry a 10x boost only for the Wild Card game, and were pretty rare pulls from what I was seeing. Honestly, the Parallax effect is much more interesting than the card itself, as it opens a lot of doors for the future of the game. Not because we should all be ridiculously excited for semi-3D cards, but because it shows that there is potential for creating cards that are more than just a picture image. I have always wondered when video cards and other effects would enter the realm of possibility, but the bandwidth needed to play them may not be as available right now. With these cards, its a step in the right direction. 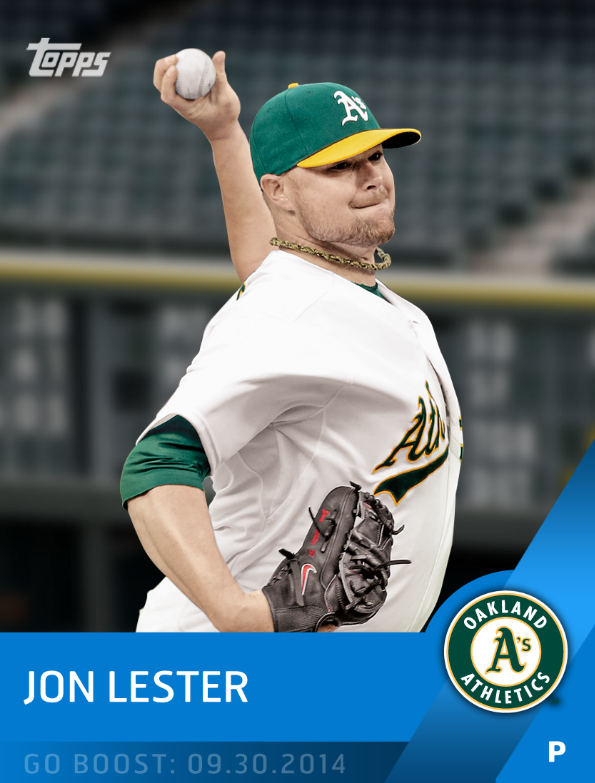 Its unfortunate that the Lester card is only playable for one game 10x boost or not, as I think it presents a really cool chase for As fans to be able to use long term. We already saw the value of these cards in the upper stratosphere, as users were scrambling to get the 10x boost to score points to win the new Throwdown format transferred over from Huddle. Even though both Pitchers didnt exactly have lights out performances, these cards still scored over 1k points each. Bunt and Kick obviously have a huge advantage with the ability to use licensed action shots, which means that there is a lot more to work with when creating cards of this nature. With Huddle, its basically a no go. Parallax head shots are not a big deal. Im very interested to see what Bunt has in store for the coming weeks, especially leading up to the World Series. Who knows what they have in their back pockets. Animated GIFs have become very small files, you never know what is possible. This entry was posted in Reviews and Commentary. Bookmark the permalink.